Discover 10 Simple Plays for a High Scoring Spread Offense! The Spread Offense. Whether run out out of a Singleback, a Shotgun, or Pistol formation, it's one of the most popular offensive philosophies in football today. The basic idea is to put in extra receivers and "spread" the defense horizontally across the field. With the defense spread out, it's easier to isolate man coverage in the passing game, or to find holes in the zone. The same goes for the running game. With defenders strung out across the entire line of scrimmage, it's MUCH more difficult for them to stack the box and prepare for the run. We've taken the best elements of the Spread and boiled them down to 10 simple, fun and EFFECTIVE plays that work for all ages and competitive levels. It's easy to learn and simple to teach. So you can learn these plays today, install them in your next practice, and be using them in live games by the end of the week! Shotgun Trips TE Flanker Screen - Use this play to get one of your best athletes loose in space. Shotgun Spread Playaction Fake Bubble Slant - Exploits the defense by using their aggressiveness against them. A perfect complement to the PA Bubble Screen! Shotgun Trips TE One Back Power - A great playcall against a defense that comes out in a Cover 2, especially if they have nickel personnel on the field. Shotgun Trips TE Buck Sweep Read Option - The Read Option version of the classic Buck Sweep uses a pulling action from both the center and right tackle to give the halfback running lanes to the outside. Listen. I'm not just handing you a stack of scribbled notes on a paper napkin and telling you to figure it out your own. 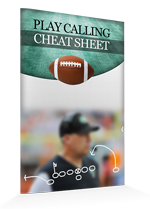 This Playbook Shows You Exactly How To Run Each Play... And When To Run It Too! To shorten the learning curve and really make sure you and your players "get" this stuff immediately, every play is explained with "brain dead" simple coaching tips and pointers. So you can take this information to the field TONIGHT, and start using these plays with your team right away. Sure, I've been studying offensive football strategy for a long time - but I still consulted with EVERY football expert I knew, personally tried and tested dozens of different offenses with my own teams, then added my own personal experiences to develop this system. The methods contained inside are simple, proven and FAST to learn. You'll be amazed at how quickly and easily your team will master them! How much is your time worth? Think about it, why should you go out and duplicate all the time and effort I put into this research? I've studied the tape, watched the DVDs, been to the clinics, and done the trial and error for you, so you don't have to. I've pulled together in one simple collection the most essential Spread Offense plays you need, to help your team build an unstoppable offense. And they're guaranteed to work - no if's, and's or but's about it. The confidence you'll feel, walking onto the field at your next practice, armed with an arsenal of offensive strategies your players will love. The fun and satisfaction you'll experience, watching your team march the ball into the end zone over and over again, dominating your opponents, and earning more wins for your team! Listen, I know that coaching youth football is loads of fun, but it's a lot of work too. And I've devoted my life to helping folks like you save time and energy, while experiencing more success with their teams. $7 puts the playbook within reach for the vast majority of people. It's not expensive for even the humblest beginner. So if you're serious about becoming a better coach, and if you would like to instantly have a proven plan to develop a high scoring offense... click the Add to Cart button below now. Guarantee #1 - If for any reason, you think this isn't the best $7 you've ever spent, just send me an email within 60 days of purchase and I'll gladly refund you the whole 7 dollars. Guarantee #2 - If you actually use these plays and they don't work as well as I've promised I'll actually refund TWICE your money. All I ask is that you give me an honest effort. It's just 16 pages. Short enough to read in one sitting. There's more real, actionable information jammed into this PDF, than you'll get watching a dozen football DVDs. The plays inside have worked for other people just like you, and it's 100% guaranteed to work so you can't possibly lose money. It's a no brainer. And to make sure you really hit the ground running, I'm also going to give you three exclusive bonus coaching tools, valued at $89.89! 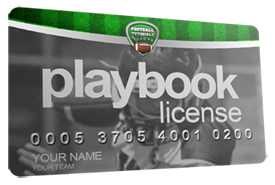 After you download the playbook, you have my permission to reprint up to 50 copies of it for your own coaching staff and players... so you can get your entire team up to speed as quickly as possible! Detailed diagrams and descriptions for the 5 key blocking techniques every youth football coach should know. Learn how to execute the 10 essential pass routes, complete with diagrams and step by step instructions. This is a "must-have" training aid for any young quarterback or receiver! Get 52 terms and definitions explained in plain English, including blocking schemes, coverage types, and common abbreviations. Perfect for the new coach, or for the experienced coach who needs a quick refresher. Learn a simple playcalling system that dictates the formation, ball carrier, point of attack and blocking scheme. A great tool to get your offensive players and coaching staff speaking the same language and on the same page! This 23 page report reveals my top 10 game situation drills that pit your offense against your defense! 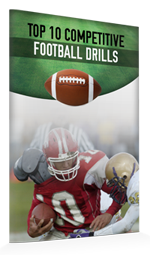 Each drill is explained with step by step instructions, coaching tips and clear diagrams, so you can start using them in practice right away! Time is very much "of the essence." If you want to develop a dominant team this season, you need to start right now. 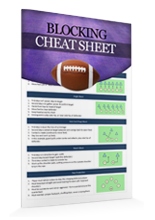 This playbook is so essential I'm practically giving it away because I want to make sure you take the simple steps to becoming a master football coach, and start seeing the results right away. 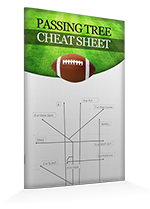 Click the Add to Cart button below to get instant access to the Spread Offense Playbook - Risk Free for just $7. YES, I want in! I want access to the Spread Offense Playbook, plus the extra licenses, the cheat sheets and the top 10 competitive drills. Please give me INSTANT access to this step by step offensive system right now! This playbook is waiting for you to claim it. Just $7 gets you instant digital access so you can start using these drills tonight. 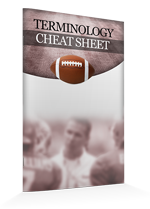 You can print the plays out to share with your coaching staff, or download it to your smartphone, tablet or eReader device and bring it right to practice! Why would you waste time trying to develop your own plays from scratch, searching the web for unproven ideas, or spending hundreds of dollars on DVDs or coaching clinics. Just download The Spread Offense Playbook today and you'll get instant access to a complete offensive system you can start using today! 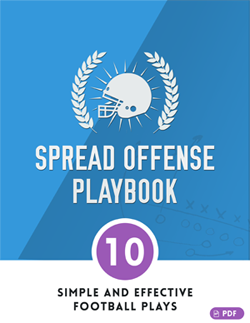 Click here to get instant access to the Spread Offense Playbook now for just $7! The Spread Offense Playbook is designed for youth and high school teams from age 6-18. You’ll find a wide range of plays, from basic concepts to advanced strategies. So there’s plenty here for teams at all ages and competitive levels. This offensive system was designed to be simple, straightforward, and easy to teach. You’ll have no problem installing the plays within one week of practice. After that, you can focus on preparing for your opponents each week. Spend time practicing the plays against the defenses you expect to see. And give your kids enough reps so they can execute with confidence and eliminate mistakes. What if I'm not happy with the plays? If for any reason, you think this system isn’t the best $7 you’ve ever spent, just send me an email within 60 days of purchase and I’ll gladly refund you the whole 7 dollars. If you actually use these plays and they don’t work as well as I’ve promised I’ll actually refund TWICE your money. I want to make sure every youth football team has a chance to succeed – so we can get more kids involved and grow this incredible game. And I know that most of my customers are volunteer coaches – with a small budget to spend on their own education and training. Hurry... Get The Spread Offense Playbook Now! Instant PDF access on any device. 60 Day Double Your Money Back Guarantee. ... all for just $19 $7. Click the Add to Cart button now for INSTANT ACCESS!